You are probably reading this because you are looking for answers and solutions to improve communication skills and reduce emotional pain. You probably miss the warmth and affection you once shared with your partner. You are not alone in this. At Rosen Couples Counselling we have been helping couples like you for over 10 years. Our approach to marriage counselling and couples therapy is collaborative and involved. We communicate honestly while staying sensitive. As a result, we establish a safe place for you to discuss issues that cannot be discussed at home. During the process of marriage counselling you will learn practical tools to improve communication skills and manage conflict. You will practice communication skills and learn to see your partner as your teammate with the common goal of improving your relationship. This is a proven marriage counselling approach to restore your emotional connection by improving communication skills. Due to our narrow specialization in the area of marriage counselling we are skilled in proven approaches as well as leading edge techniques in couples therapy. You will see progress with every session, lose the feeling of going around in circles and regain warmth and affection. We have flexible hours for marriage counselling including evenings and weekends. Our service is affordable and is covered by many workplace insurance plans. We provide more than talk therapy. We administer scientifically validated tests to monitor your progress as a couple. We assign exercises tailored for couples. The exercises that you do during sessions and the homework assignments will allow you to practice communication skills and apply the skills at home. The real concern everyone has is: Can I receive one of the best marriage counselling Toronto can offer? Can you solve my problem? or Have you solved problems like mine successfully in the past? Our expertise and specialization in marriage counselling and couples therapy have already allowed us to help a great number of couples in Vaughan, Richmond Hill, Thornhill, Newmarket, Markham, Brampton and the rest of the GTA. What are the benefits of marriage counselling or couples therapy? You can expect your marriage counsellor to be patient, friendly, easy to talk to and nonjudgmental. This will allow you to feel that you are being heard, taken seriously and understood. You can also expect the therapist to be skillful, have knowledge, and use it rather than simply listen to you. In collaboration with you and your partner, our marriage counsellors will develop a marriage therapy plan with clear goals and methods. The therapist will then guide the therapeutic process according to that plan. People often ask “Does marriage counselling work?” Not kind of or sort of but “Does marriage counselling really help?” Some think that they will receive marriage tips or marriage advice that may or may not work. Others expect some marriage counselling psychologist to lecture them on how to save a marriage and then they would go home and be left to their own devices. This was the case 30 or 40 years ago. Since then new marriage counselling theory and techniques have been developed that allow the couple to take their relationship to the new level. When both partners are willing to work on the relationship, marriage counselling really works. Communication skills improve significantly. The frequency of couple arguing is reduced. The intensity of couple arguing is reduced significantly. The marriage counselling relationship is a joint project between you and your marriage counsellor. It is expected of the counsellor to be attentive and knowledgeable in the area of your concern. It is expected of you to be open and honest about your issues. If these conditions are met, couples counselling is very effective. After the first session you will be able to decide if the marriage counsellor is a good fit for you. How frequently should we plan to attend marriage counselling? Initially, many couples attend marriage counselling on a weekly basis. As couples begin to feel more confident in their relationship the frequency of appointments is usually reduced. How do you know when you need marriage counselling or couples therapy? If you are coping with relationship issues without getting stressed out or feeling stuck you do not need to come for marriage counselling. Even though from time to time you might not perform up to your standards you are probably using some effective strategies on your own. If, however, you do feel stuck and hopeless, receiving qualified guidance will help you find hope more effectively than doing it on your own. Remember, no matter what situation you are in right now, no matter what has happened in your past, and no matter how desperate things might seem you deserve a chance for a better marriage. According to the City of Vaughan census 61% of Vaughan residents indicate that they are married and 28% are single. Only 3.4% are divorced and 1.8% separated. Common-law partners compose a small 2% of all couples in Vaughan. These numbers indicate that most couples in Vaughan have a great deal of respect for marriage and have a value orientation that supports commitment. In addition, most couples in Vaughan have children which speaks volumes about strong family values in the community. Research in couples counselling shows that the vast majority of couples who complete couples counselling significantly improve their relationship. Our approach to marriage counselling and couples therapy is professional and confidential. Our hope is to provide you with a safe and trusting therapeutic environment and to help you find solutions for the problems you are facing. Despite this not being my idea, is it meaningful for me to engage in counselling, could it be useful for me, am I willing to? What do I want out of counselling? How soon do I want to see the results? What is my impression of the first meeting? Did the therapist understand me? Did I understand her or him? Is the therapist’s gender, culture, social class, or sexual orientation similar or different from mine? Will I be able to communicate freely in this environment? Is there anything that I will try to hide? Will I try to portray myself in a specific way? Will I try to guard and protect either myself or the therapist from my feelings or thoughts? What worries me about being honest with the therapist? Is there any specific evidence for this worry? Is there something specific I need to know about the therapist in order not to worry? A client-therapist relationship is a fine balance between being close but not too close as well as distant but not too distant. It is the responsibility of the therapist not the client to maintain that fine balance. Sometimes clients find themselves in therapeutic relationships that are either over-involved or too distant. She or he reveals information about herself/himself that is not relevant to therapy or that is not beneficial to you. It also includes any information that makes you feel uncomfortable. She or he initiates touch that is in ANY way uncomfortable to you. He or she reacts emotionally in a way that makes you feel the need to protect the therapist and in a way care about the well-being of the therapist. He or she jumps to conclusions without carefully exploring all the possible aspects of your story. She or he tries to impose her/his meaning onto you, especially when you are trying to resist and keep your view of things. You have a general feeling that the therapist does not understand you and your experiences. He or she is distracted easily and you feel that you need to work hard at keeping their attention. You feel that the conversation is shallow and the therapist fails to address deeper issues. If you think that you observe any of the above signs, it is a good idea to talk to your therapist about it. If the therapist does not address your concerns, it might be wise to look for another therapist. 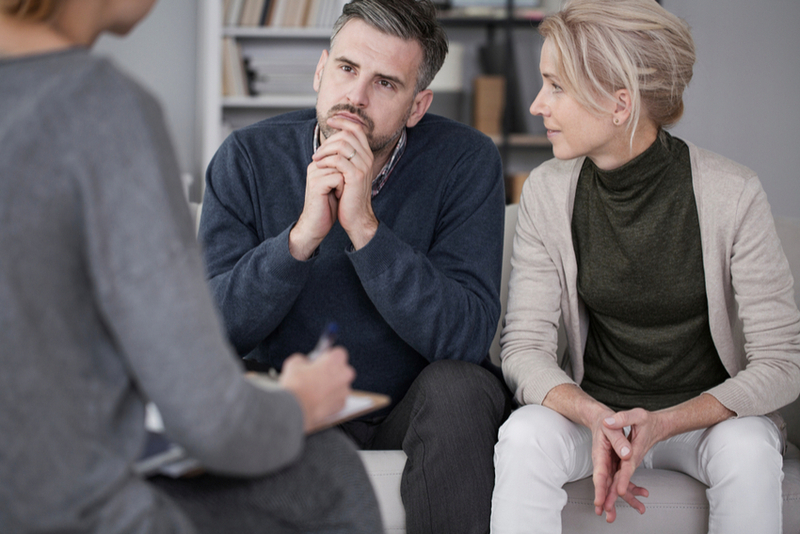 From our observation, couples try two to three therapists before they find their fit of the best marriage counselling Toronto and Vaughan can offer. 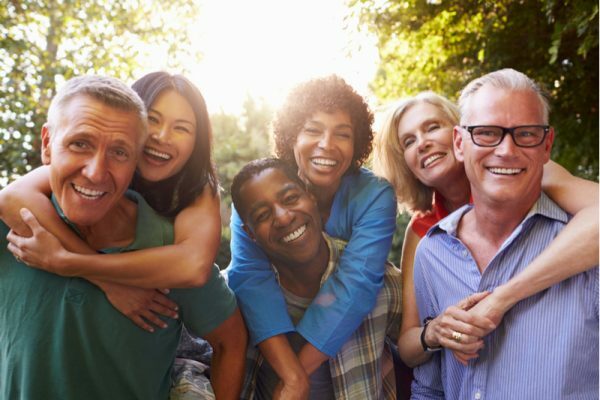 We offer a free assessment tool for couples at the beginning and at the end of the process in order to compare test results and see real progress.